Palestinian Christians have deep roots in the Holy Land, The great majority, estimated at four hundred thousand worldwide or roughly 6.5 percent of all Palestinians, are of indigenous stock, whose mother tongue is Arabic and whose history takes them back, or at least some of them, to the early Church. At present, fifty thousand Christians in the West Bank and Gaza Strip make up only 2.2 percent of the total population which in the mid-nineties was estimated to be 2,238,000. Palestinian Christians in Israel were estimated, for the same year, to be one hundred and twenty-five thousand, or fourteen percent of all Palestinians in Israel. Christians in Palestine and Israel make up one hundred and seventy-five thousand or 2.3 percent of the entire Palestinian and Jewish population of the Holy Land. A majority of fifty-six percent of Palestinian Christians are found outside of their country. This situation of emigration has resulted from the exodus of seven hundred and twenty-six thousand Palestinian refugees during the 1948 Arab-Israeli war. Fifty to sixty thousand Palestinian Christians, comprising thirty-five percent of all Christians in pre-1948 mandatory Palestine, were among the refugees. In 1996, these refugees and their descendants are spread over the entire Middle East but primarily in the sixty refugee camps dotting the topography of the West Bank (nineteen refugee camps); Gaza Strip (eight refugee camps); Jordan (ten refugee camps); Syria (ten refugee camps) and Lebanon (thirteen refugee camps). As for Palestinian Christians, refugees and non-refugees, they are found mostly in urban areas of the Middle East, but many have opted to leave for faraway lands such as the USA, Central and South America, Australia, and Canada. The dispersal of Palestinians since 1948 has spared not one family or group. The demographics of Palestinian Christians is as much shaped by the politics of the Arab-Israeli conflict as is the demographics of Palestinians in general. 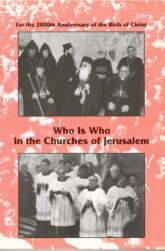 Palestinian Christians in East Jerusalem, the West Bank, and the Gaza Strip belong to fifteen different denominations. The largest of these denominations are the Greek Orthodox (fifty-one percent) and the Roman Catholics (thirty-two percent). Some smaller denominations, such as the Copts who are originally from Egypt, do not number more than a score of families. Yet, besides educational and other institutions, each denomination or community maintains a rich tradition of rites and rituals, which speak of its long presence in and attachment to the Holy Land. A history of foreign (mostly European) missionary sponsorship of schools, which began in the middle of the nineteenth century and originally intended to serve the local Christian population, has left a clear impact on the community and its outlook. The advantage that the Palestinian Christian had in earlier access to such education was reflected later in the development of a socioeconomic, occupational, and employment profile that made them adopt (rather earlier than other Palestinians) the style of life associated with that of the middle class, including its preferences, and, unfortunately, its limitations. It is argued that the European educational institutions, by exposing Palestinian Christians to foreign languages and cultures, accelerated among them the notion of relative deprivation, which was felt first towards the turn of the century, when Christians from the Bethlehem and Ramallah areas, comparing the backwardness of the Ottoman Empire to the progress being made in Europe and America, began to emigrate to North, Central, and South America. Europeans, missionaries and others, cannot be blamed for all the ills of the Middle East even though some Europeans can be blamed for the most of ills that afflicted the Holy Land in the twentieth century. Palestinian Christians, as an integral part of society, suffered the consequences of the intensive Arab-Jewish communal conflict in the first half of the twentieth century. When the communal conflict came to a head in the martial confrontation of 1948, the Arab Palestinian society was forced to re-organize itself. Many Palestinian refugees, including Christians, established themselves in the newly emerging capital of Jordan, Amman, as traders, professionals, and businessmen. Others opted to leave for North American and the Arab Gulf countries. Those who went to the Arab Gulf countries eventually came back to retire in their hometowns such as Beit-Sahour, the town best known for the Shepherds' Field. Others, who opted to go to North America and further destinations, established themselves and their families there and became diaspora communities with the usual sentimental attachments to the homeland and fading memories of it. The 1967 War heralded drastic changes for the entire Palestinian society in the West Bank and Gaza. Economic, social, organizational, and political changes took place amidst mounting tensions between the Palestinians on the one hand and Israeli military authorities and Jewish settlers on the other. With these changes and with the precarious population balance between Palestinians and Jews, there was a growing realization among some Israelis and Palestinians of the need to work towards a political solution which would end the occupation and secure the basic rights of Palestinians. Christians, tending towards the mainstream and secular political organization, took part in the efforts of their society to end the occupation and to establish the Palestinian national rights. At the same time, Christians, with their middle class background and occupational preferences, became increasingly sensitive to the instability and uncertainty which accompanied the long Israeli military rule. Palestinian Christians, judging from the rate of emigration among them (it was double the national rate between 1967 and l993), became especially susceptible to the practices of Israeli occupation authorities, when more than twelve thousand of them left East Jerusalem, the West Bank, and Gaza Strip to go abroad. The intense political relationships between Israelis and Palestinians came to a head-on clash with the outburst of the Intifada in December of 1987. Christians in the West Bank and Gaza Strip actively participated in it; some were killed, others were imprisoned and still others had to hide from Israeli pursuit. Christian communities reacted collectively as they pressed, like other Palestinians, for an end of the occupation and for a new relationship with the Israelis, a relationship based on mutual respect and recognition of rights. The Intifada itself, as perceived by Palestinians and their leaders, was a call to make peace with Israel, the peace based on the presence of two peoples in the land. In addition to this, the Intifada made Palestinians proud that they could confront Israelis as equals. The Intifada and its success were key factors in making possible the negotiations leading to the Oslo accords. With these accords, the stage was set for political transformation and the excitement which accompanied it. Palestinian Christians, like other Palestinians, have shaped events and have been equally affected by them. The time of transition and transformation now called for an optimistic stand, a departure from the past, and a break with it. But was the time of transformation and transition read alike by Palestinians in different walks of life? How would expectations of a new order and of the future in general be affected by various economic and social indicators? Would Christians with their educational, occupational, and income profile react in the same way as other Palestinians? In order to better understand and contextualize the Palestinian Christian response, it is necessary to reaffirm the traditionally excellent relations between Christians and their Muslim neighbors. This tradition of good Christian-Muslim relations has evolved through centuries of co-existence and exchange both in the cities of Jerusalem, Nazareth, Bethlehem, and Ramallah and in the rural areas of Zababdeh, Bir-Zeit, and other towns and villages where Muslims and Christians live side by side and interact in the daily pursuit of their occupations and concerns. A number of factors have historically contributed to this tradition of excellent Muslim-Christian relations. In the first place is the modern history of Palestine. The Arab-Israeli conflict affects the entire population with the equal experience of dispersal and loss of homeland. In the second place is the contribution which Christian institutions, mostly Western, have made since the nineteenth century to the education, health, and other needs of the population, irrespective of religion. 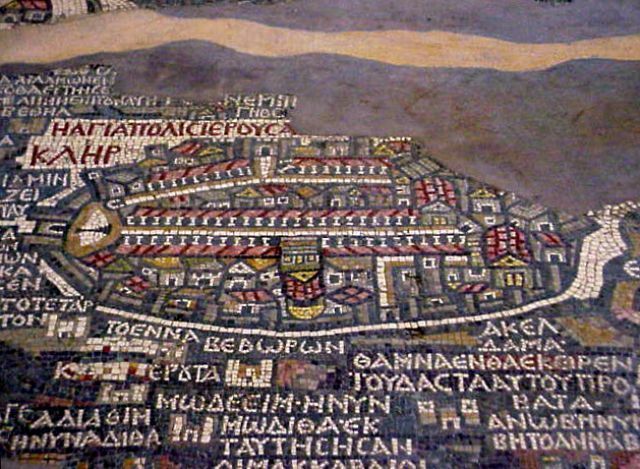 In the third place is the presence of the holy places and the recognition by Islam of the centrality of Jerusalem, Bethlehem, and Nazareth for Christianity. This recognition is best crystallized in Caliph Omar's al-Uhda al-'Umariyya. This document was his guarantee of the safety of Christians and their holy places in A. D. 638, when Islam entered the country. In the fourth place is the urban nature of the Christian population and its living in religiously mixed Christian-Muslim neighborhoods, emphasizing thus openness and neighborly relations. In those instances where Christians lived in villages and rural areas, relations were always characterized by friendly co-operation and communal sharing. In the fifth place is Christians taking equal pride in their national and religious roots. Being a good Christian has never detracted from being a good Palestinian nationalist and vice-versa. Finally is the Ottoman Millet system which recognized the autonomy of the Christian communities to run their own internal affairs, especially those related to religious and personal matters. Since the late nineteenth and early twentieth century, the Palestinian Christians have experienced a relatively long tradition of emigration. Early emigration was motivated by worsening political and economic conditions in the Ottoman Empire. A feeling of uneasiness with the atmosphere of backwardness in all spheres of life was strengthened by the fear of conscription of young men to the Ottoman army. Families pulled in their resources to enable younger male members to travel to Central, South, and North America in order to make a new living. Once these men were established in their new homes, they invited other members of their families to join them. The factors that affected emigration trends at the turn of the century among the Middle Eastern Christians, including Christians of the Holy Land, can be grouped under the following three interconnected sets. In the first place were the prevailing bad socioeconomic and political conditions which acted as constraints on the prospects of advancement for communities, families, and individuals. In the second place were educational and vocational advancement of Christian Palestinians as a result of missionary and educational activities in the region. These characteristics, blended with an entrepreneurial spirit of Christian villagers (such as those in Bethlehem and Beit Jala), reinforced the tendency to leave. In the third place was a pull of distant "Christian" lands which was too strong to resist. It was supposed that in those lands fortunes could be made and, at the same time, the community could be preserved through the transfer of indigenous Churches to the diaspora. Emigration was thus made a viable alternative to a stagnant and backward society which offered no hope for a better future. At the end of the twentieth century, with the political and economic conditions prevailing under the Israeli occupation of the West Bank and Gaza Strip, the Palestinian Christian community fits well the definition of a migrant community: "A community with high educational achievement and a relatively good standard of living but with no real prospects for economic security or advancement will most probably become a migrant community.” An emigration survey undertaken by the author in 1993 on 964 Palestinian households, Christian and Muslim alike, in the central area of the West Bank upholds the relationship between high level of education and standards of living and intention to emigrate. Among the 239 Christian households interviewed, intention to emigrate was double that exhibited by the Muslim households. The Christian sample in the 1993 survey had slightly more years of education and, on average, better income than the rest of the population. In addition, almost all of those among Christians who intended to leave had immediate members of their families abroad. The bad economic and political situation were prime reasons for their desire to leave. Eighty-eight percent of those wanting to leave specified the bad economic situation, while sixty-one percent blamed the bad political situation. Conditions that will help stop or discourage emigration are primarily the improvement of the political situation (mentioned by forty-seven percent of all respondents) and the improvement of the economic situation (mentioned by forty percent). Another indicator of the importance of the political situation is the response received to a question of whether respondents intent on emigration will still leave if peace were to take place. Forty-nine percent of those intending to leave would not, if peace were to take place. Among Muslims, thirty-eight percent said they would not leave, while among Christians the percentage of those who would not leave with peace came close to two-thirds and stood at sixty-five percent. Therefore, if situation improves, emigration among Palestinians will be reduced drastically. The political factor plays an important role in encouraging Palestinians to emigrate or to stay in their country. Why do Christians leave at a higher rate than the rest of the population? The answer is not simple because it involves interrelated factors and their mutual effects on one another. In the first place are socioeconomic characteristics of the Palestinian Christians which make them more likely candidates for emigration. In the second place is the fact that emigration is not a new phenomenon for the Palestinian Christians and that there has been a relatively long tradition of emigration, particularly to distant "Christian" lands. In the third place, Christians are more sensitive than the general population to bad economic and political conditions, particularly if they perceive that the prospects for advancement are not forthcoming. Regardless of how one explains this sensitivity, it has to do with the Christian demographic, economic, educational, and occupational profile. Some conclusions from the 1993 survey shed light upon factors which render Palestinian Christians more prone than the rest of the population to take the difficult decision to leave. The process of emigration for whole families begins when one of the children goes abroad to study, marry, and/or work and eventually pulls the whole family abroad. Those religious communities with higher percentage of household members abroad are more likely to have their members exhibit intention to emigrate than those communities with lower percentages. A closer look at the religious communities with high percentage of immediate family members abroad reveals the following percentages in descending order: Armenian Orthodox (sixty-one percent); Syrian Orthodox (fifty percent); Greek Orthodox (thirty-two percent); Latin Catholics (twenty-eight percent); Muslims (twenty-three percent); Greek Catholics (fifteen percent); and Protestants (eight percent). When intention to emigrate is examined, the Greek Orthodox, Armenian, and Syrian Orthodox exhibit the highest percentage of those wanting to leave. The Protestants have the lowest percentage, while the Latin Catholics and Greek Catholics are placed in the middle. Jerusalem, the city of the "Mother Church," provides a dramatic example of the effects of the dwindling numbers of its Christians. While Jerusalem's Christians are blessed with probably the highest "church per capita" in the world with one church for every 177 Christians, the decline in the number of Jerusalem Christians continues. Emigration is responsible for this decline since the political conditions, especially after 1967, have pushed many Palestinians out of their homeland. The extent of the Christian decline is best understood by the fact that in 1944 there were 29,350 Christians living in the city. Today, Jerusalem's Christian population is only around ten thousand people. There is concern by some, both Church officials and experts, that if preventative and curative steps are not undertaken, the dwindling of Christian numbers will continue unabated, eventually causing the disappearance of community life in some of Jerusalem's churches. The rites, rituals, and traditions of Palestinian Christians are factors which still pull the community together and reinforce its raison d'etre. They are also a strong signal of identification with Palestinian society; its ordeals and expectations. In spite of the somber shadows with which the occupation of the Holy Land cast upon Christmas, Palestinian Christian parents still endeavor to celebrate Christmas with a semblance of joy within the family. Trees are decorated a couple of days before Christmas and they are kept standing, in most homes, through the Greek Orthodox Christmas (on January 7) and the Armenian Christmas (on January 19). Families, especially children, take great pride in the replication of the scene of Nativity under the Christmas tree and, as elsewhere, await Santa's visit with impatience. At the same time, Christmas remains the hallmark of Bethlehem just like Passion Week is that of Jerusalem. Great Lent begins after a carnival weekend, when those intent on fasting have the last chance, until Easter Sunday, to satisfy their culinary buds with rich dishes and sweets. Lent is kept by many families, including children. With the arrival of the first Easter pilgrims, especially those from Cyprus and, in years past, from Egypt and other neighboring countries, the atmosphere of Easter begins to assert itself. Stands that sell souvenir items are found on every street corner and in front of souvenir shops in the Christian Quarter and in alleys leading to the Church of the Holy Sepulchre. Candles of all size and designs are offered for sale and local children who are on Easter vacation from school employ their freshly learned foreign words and phrases to entice pilgrims to buy souvenir items. Where do Palestinian Christians stand with respect to the political developments taking place in the region? What do they expect specifically for the future of Jerusalem, given their history, communal identification, and excellent relationships with their Muslim compatriots? Many Palestinian Christians support the political developments now taking place in the region. These developments provide hope that an era of peace and prosperity is finally beginning to take shape in our troubled land and region. The peace process is particularly important for Christians, since there are indications that with the coming of peace, lower numbers of Christians will think of emigration. At the same time, the disappointment felt by Palestinians on the election and performance of the Likud right-wing Israeli government and the inability of Mr. Netanyahou, Prime Minister of Israel, to really lead his people to peace is a great letdown to many Palestinians, including Palestinian Christians. If Palestinian Christians favor a just and comprehensive peace, where do they stand on the issue of Jerusalem and its future? We can detect two overall responses from the Christian community and its leaders on this issue. On the one hand, the Christians of Jerusalem are concerned over daily hardships and constraints which the occupation places on them. On the other hand, the Church leadership, while sensitive to the constraints felt by its faithful, is conscious of the need to highlight the Christian presence in the Holy City irrespective of the restraints and pretensions of temporal governing arrangements. At the same time, this highlighting, as will be illustrated later, is done with due respect to other religions and their faithful who equally view Jerusalem as their Holy City. For Jerusalem Christians, Jerusalem is "Al-Quds," the holy, and the presence of their community in the city is confirmation of the continuity of Christ's new beginning. 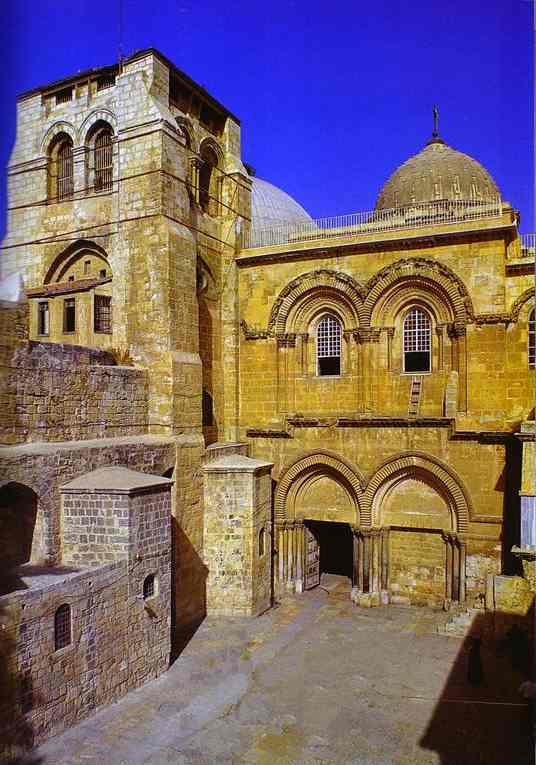 This is the mother of all Churches and there are links between Palestinian Christian communities and the early Church. As Palestinians, they see that the fairest political solution for Jerusalem lies in its becoming the capital of two states. Municipal arrangements should be made in order for the different populations to govern themselves and administer their affairs without interference of the other side on the one hand, and maintaining the oneness of Jerusalem on the other. Thus, Palestinian Christians in the city are no different in their overall orientation towards the future of the city than their Palestinian compatriots. A majority of Christians do not envision a real peace without finding a compromise solution for Jerusalem whereby the two national groups, Palestinians and Israelis, and the three religious groups, Jews, Muslims, and Christian, will all feel comfortable and at ease in the city. This comfort and ease cannot transpire without a solution that will satisfy both the national and religious aspirations of each and every community in the city. It is only then that the city will truly become a city of peace. In spite of properties, buildings, and real estate which the various groups have in Jerusalem and in the Holy Land, Christian communities have not been able to become self-sufficient. Dependency on partner Churches elsewhere is a characteristic that is almost universal among the Holy Land Churches. If this partner hip weakens, there is doubt that local Churches can make it on their own. Since emigration weakens the Church, there is a need to address this issue and to find remedies. Emigration, however, is a reflection of political and economic factors on which the Church, given the circumstances, does not have great power to influence. The Churches, it must be admitted, have continuously witnessed to Palestinian society through education, health, social, and other institutions, and enterprises. Some Churches are doing the best they can, considering their limited resources. Other Churches, however, have yet to come to grips with the difficult realities of their community and with the need to revitalize it. We, as Palestinian Christians, also have an important role to play and, I am afraid, we have not done so to date. We need to be faithful to Christ's teachings, especially at times when tensions and pressures seem to be impossible to overcome. Unfortunately, we are only human and with mounting pressures, we often choose the easy way out: USA, Canada, Australia.... In the final analysis, however, emigration is really not the easy way out but the most difficult and the most costly to the integrity of our community and our Church in the Holy Land. We have an obligation to ourselves and to our children to stay put and to overcome difficulties, together with all the inhabitants of this land. We are today still in the midst of political conflict but we can see some concrete signs of change towards peace-making. We are called upon to be witnesses to hope and to take an active part in bringing about positive change. In spite of all our shortcomings, as Churches and as faithful, we are a proud and hard-working group of people. We recognize that the political situation and the long history of Israeli occupation since 1967 have left their marks on our communities and their dwindling numbers. At the same time, the instability of our region is an important fact which encourages emigration. The challenge is clearly to be able to live in a secure and comfortable environment. Communion with Churches all over the world reinforces our determination to accept the challenge and to overcome the difficulties. It also helps us witness to our own society and its transformation towards a national state. Christians, according to the memorandum, "believe the Jerusalem of the Prophets to be the foreseen place of the salvation, in and through Jesus Christ." 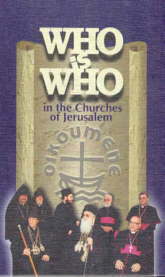 As to the continuing presence of a Christian community, the heads of Churches emphasize that "Jerusalem is the place of roots, everl iving and nourishing," and that "the local Church with its faithful has always been actively present in Jerusalem and witness to the life and preaching, the death and resurrection of Jesus Christ upon the same holy places, and its faithful have been receiving other brothers and sisters in the faith, as pilgrims, resident or in transit, inviting them to be re-immersed into the refreshing, ever-living ecclesiastical sources." Palestinians, Muslims, and Christians alike have paid a heavy price for the creation of Israel. We still suffer greatly from the wounds of the century-old conflict. Some of us are not ready yet to explore reconciliation, others have taken the first steps, still others have gone further. The future, however, cannot be molded without the hope which emanates from religious traditions that believe in the One God. These traditions should become a mainstay that would encourage all of us, in this Holy Land, to search for answers to very difficult questions such as the future of Jerusalem, which is holy for the three monotheistic religions and is claimed politically by Israelis and Palestinians. Hope, based on religious heritage, should also help us find ways to accept each other with justice, compassion, and willingness to reconcile, regardless of how long and hard the process may be. Some may think that speaking of hope would lead us nowhere. But of hope we should continue to speak, not simply because it is in the essence of Christian witness, but because the alternative to hope is utter despair. Despair spells continuation of conflict, war, and disruption of the lives of generations to come. We, as Palestinian Christians and as an integral part of our people, its history, present ordeals, and future expectations, should particularly be speaking of hope because with it we can stop emigration, strengthen our communities, and contribute to a different future of this Holy Land. With hope, we can be at peace with ourselves and with our neighbors.